Kokoroko - KOKOROKO. Vinyl EP. Bleep. 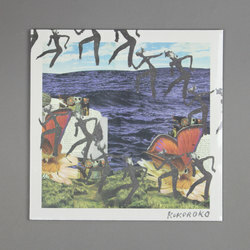 Despite this being their first solo release the London collective Kokoroko have a huge buzz around them. This is due in part to the huge success of their track ‘Abusey Junction’, a standout cut from Brownswood’s lay-of-the-land jazz compilation We Out Here. The group’s eponymous EP - also out via Gilles Peterson’s label - more than delivers on the promise that the eight-piece have shown over the past year or so. These rich, groove-driven numbers fuse together influences from Nigeria, Ghana, London and the United States.